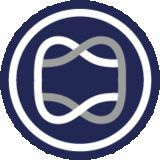 ABOUT CAVENDISH MAXWELL Cavendish Maxwell is a highly respected independent firm of chartered surveyors and property consultants, focusing on property services throughout the Middle East and Africa. Established in 2008, Cavendish Maxwell is now one of the most influential property consultancies in the region. As a fully qualified member firm of the Royal Institution of Chartered Surveyors (RICS), and with extensive knowledge of the region, Cavendish Maxwell has the necessary experience, expertise and insight to deliver property advice of the highest standard. Our reports are used for loan security, audit, insurance reinstatement, dispute resolution, risk management, debt recovery, performance analysis, project financing, development strategy and government initiative implementation. We provide a comprehensive range of property services across all our departments, each of which is headed by highly skilled, experienced and fully qualified RICS chartered surveyors. Our various teams provide valuation, agency, advisory, management, capital investment, research and building consultancy services across all property types and sectors. Price movement, rent and yield statistics, residential transactions, and upcoming supply of residential properties are provided through Property Monitor, a real estate intelligence platform, powered by Cavendish Maxwell. The report also incorporates the Property Monitor Residential Survey, conducted among partner agents operating within Dubai. The survey showcases how new enquiries, leasing activity and transactions, among other metrics, changed over the previous quarter. FOREWORD The UAEâ&#x20AC;&#x2122;s real estate market slowed down in 2018, with subdued demand and corrective market dynamics affecting prices across the emirates. Government reforms have been swift, and as we enter Q2 2019, many investor- and SME-focused measures introduced over Q4 2018 and Q1 2019 are being executed. While some investors remain cautious and wait for prices to bottom out, particularly for residential properties and certain commercial assets, other investors are cautiously optimistic about the opportunities offered by new long-term visas, among other economic incentives. Our first quarterly report covering the UAE as a whole, with an overview of Abu Dhabi, Dubai and the northern emirates, looks at a sector-wise analysis of the UAEâ&#x20AC;&#x2122;s property market and what the indicators signify for the coming year. The overall performance of the residential sector over Q1 2019 was subdued. Limited demand combined with significant expected supply continued to drive average sales prices and rents down across the emirates. Enquiries for office space had marginal increases in Dubai, but flight-to-quality and a move to more affordable rents remain the overall trends. Grade A prime office assets continued to maintain high occupancy levels in Q1 2019, while the warehouse/logistics sector continues to provide good investment opportunities. The hospitality sector faced downward pressure on Average Daily Rates (ADRs) as many hotels tried to maintain occupancy levels. Revenues in the F&B sector were also impacted by limited spend from leisure segment group tourists. DUBAI HOUSE PRICE TIMELINE Between Q4 2018 and Q1 2019, average apartment prices continued trading at around AED 1.2 million on average. The average villa/ townhouse price remained relatively stable at approximately AED 1.8 million. Note: The Dubai House Price Timeline tracks residential property transactions from Dubai Land Department (off-plan and secondary market) to derive monthly and quarterly average transacted prices for apartments and villas/townhouses. Average sales prices softened and rents declined across most communities in Dubai in Q1 2019. Over the 12-month period from Q1 2018, the average rate of decline has increased, suggesting a continued corrective phase. The price gap between apartments and villas/townhouses narrowed markedly. Meanwhile, average sale prices declined more than rents in Q1 2019. The average trading price for villas/townhouses in Dubai ranged from AED 2.5 million at the end of Q1 2018 to AED 1.8 million in Q1 2019. Prices for apartments also moved towards the lower end of the range, averaging at AED 1.4 million. 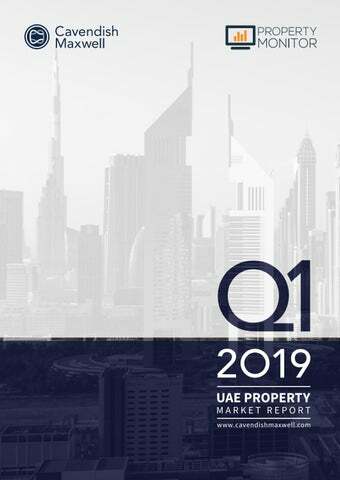 2019 UPCOMING SUPPLY According to Property Monitor, over 6,141 apartments and 997 villas/townhouses were handed over in Dubai during Q1 2019. The majority of upcoming supply in 2019 is concentrated in a few communities â&#x20AC;&#x201C; Jumeirah Village Circle (JVC), Business Bay, Dubai Sports City, Dubai Silicon Oasis, Al Furjan and Mohammed bin Rashid (MBR) City. Apartments make up approximately 84% of the upcoming supply, with the remaining 16% comprising villas/townhouses. Actual materialisation rates in 2019 are expected to match previous years, with handovers averaging between 16,000 and 20,000 units. TRANSACTION OVERVIEW Off-plan transfers continued to dominate in Q1 2019, accounting for more than 58% of total transfers. The total number of transfers in this period was 7,931, for both villas/townhouses and apartments. Downtown Burj Khalifa, Business Bay and MBR City ranked as the most sought-after locations for off-plan apartment transaction activity in Q1 2019, with the majority of off-plan apartment transactions occurring in MBR City. While off-plan transfers continue to dominate, the volume of transfers for under-construction apartments declined by 11% compared to Q1 2018. For villas/townhouses, the total volume of off-plan transactions declined by 2% compared to Q1 2018 and secondary market transfers continued to outpace off-plan transactions in this segment. PREDICTIONS The majority of agents surveyed predicted apartment and villa/townhouse prices would decrease by up to 5%. For apartment and villa/townhouse rents, the majority of agents surveyed predicted that rates would decrease by up to 5%. New buyer enquiries, seller instructions and agreed sales were predicted to increase by the majority of agents surveyed. Apartment and villa/townhouse prices declined by 5% on average in Q1 2019, with a 12-month decline of 11.6% on average. Apartment and villa/townhouse rents declined by 4.2% on average in Q1 2019, with a 12-month decline of 10.7% on average. According to data from real estate agencies, transaction levels in Q1 2019 were lower than Q4 2018. PRICE PERFORMANCE Average sales prices declined in Abu Dhabiâ&#x20AC;&#x2122;s major investment zones by 9.6% for apartments from Q1 2018 to Q1 2019. Villa/townhouse prices registered an average decline of 10% over the same period. As of March 2019, prices in Al Reem Island and Al Reef Downtown declined by 10-12% for apartments, according to prices tracked by Property Monitor. The quarterly change, from Q4 2018 to Q1 2019, was between 4-5.5%. Despite off-plan transactions dominating transactional activity, the market remains subdued across communities in Abu Dhabi. Investors have shown growing interest in lower-priced inventory, particularly those assets with higher expected yields and flexible payment plans offered by developers. However, the overall sentiment is bearish, with investors waiting for prices to soften further in 2019. RENT PERFORMANCE Rents in Abu Dhabi continued to fall in Q1 2019, for both apartments and villas/townhouses. The average annual decline was 11.8% for the 12-month period from Q1 2018 to Q1 2019. Villas/townhouses in Al Raha Gardens showed the steepest decline in rents, averaging 13% annually. Over the same period, rents for apartments in Al Reem Island declined by 14.5% on average. Proactive landlords have kept vacancy rates low by offering tenants attractive payment options (multiple cheques) and discounted rates, particularly in lower-quality buildings in some communities. Upcoming supply, expected to be delivered this year, will continue to put downward pressure on rents in the capital. 2019 UPCOMING SUPPLY According to Property Monitor, over 1,500 apartments and 1,400 villas/ townhouses were handed over in Abu Dhabi during Q1 2019 alone. Upcoming supply for 2019 is spread across Abu Dhabi investment zones and the mainland. This includes over 9,000 apartments, approximately 6,800 of which will be handed over in Al Raha Beach, Al Reem Island and Saadiyat Island. Of the 400 villas/townhouses expected to be handed over this year, nearly all are under construction in Saadiyat Island, Yas Island and Abu Dhabi City. Completed supply in Q1 2019 included Hidd Al Saddiyat villas, Park View residential apartments on Saadiyat Island, Al Reem Phase 2, residential villas in Al Samha, and the Marina Sunset Bay project in Abu Dhabi City. RESIDENTIAL MARKET OVERVIEW Over the past five years, there has been a significant increase in the number of masterplan projects in the northern emirates. Upcoming projects include Sharjah Sustainable City and Fujairah Beach Community. means commuters have the option to relocate closer to their work place, putting further downward pressure on rents in Sharjah and Ajman. Overall living costs, including spends like school fees, however, could be a factor prior to a population migration to Dubai. New projects are also being developed in Ras Al Khaimah, particularly to boost the tourism and hospitality sectors. House prices continued to decline in Q1 2019, primarily due to increased supply, while rents have become more affordable with landlords offering incentives like rent-free periods and flexible payment options through multiple cheques. Umm Al Quwain offers only limited leasehold apartment blocks for expatriate investors and end users. However, there are plans for some mixed-use projects as part of joint ventures with the UAQ government. Fujairah will see the completion of the Fujairah Beach Community project by Eagle Hills this year. The mixed-use development will feature a gated residential community comprising 80 villas and townhouses, and a hotel. Popular locations like Al Khan, Al Majaz and Abu Shagara offer apartments with annual rents for studios starting approximately AED 20,000, and up to AED 85,000 for 3-bedroom apartments. The average apartment sale price in Sharjah in Q1 2019 ranged from AED 400/sq ft to AED 600/sq ft, based on location and building quality. Communities in Al Heera and Al Wasit offer tenants 4-bedroom villas starting at approximately AED 85,000 annually, and up to AED 200,000 for a 6-bedroom villa. The average villa land rate in Sharjah ranges from AED 70/sq ft to AED 180/sq ft, with areas like Al Rahmaniya and Al Suyoh offering comparatively lower rates than Al Tayy and Barashi. An increasing number of freehold properties are entering the market, offering more choices for expatriate investors. Existing offerings like Al Zahia, Tilal City and newer products from Ajmal Makan and Arada are providing varied real estate options including land plots, townhouses, student accommodation, among others, thus increasing investment opportunities in Sharjahâ&#x20AC;&#x2122;s real estate sector. RESIDENTIAL MARKET OVERVIEW Approximately 2,000 apartments are expected to be handed over by the end of 2019. An additional 2,299 apartments and 729 villas are slated for handover in 2020. The majority of large apartment projects are on the Corniche and in Ajman City. Ajmanâ&#x20AC;&#x2122;s residential market was initially dominated by villas/townhouses built by UAE nationals. But now there are an increasing number of apartment projects being developed to cater to expatriate demand. Following market trends in Dubai and Sharjah, prices and rents in Ajman are expected to continue to decline in the short to medium term. RESIDENTIAL MARKET OVERVIEW Average annual apartment rents in Umm Al Quwain varied between AED 14,000 for a studio and AED 38,000 for a 3-bedroom unit in the 12-month period from Q1 2018 to Q1 2019. Umm Al Quwain primarily offers residential villas for UAE nationals and some specialist staff accommodation for industrial and construction sector employees. The limited leasehold apartment blocks offer few investment opportunities, and rents in these units have decreased marginally year-on-year. RESIDENTIAL MARKET OVERVIEW Rents and sales prices declined in Ras Al Khaimah in Q1 2019, primarily due to increased supply. This downward pressure is expected to continue over the next quarter. Ras Al Khaimah continued to be an investor-led market in Q1 2019, dominanted by UAE nationals and investors from the GCC and the Indian subcontinent. Expatriate home ownership is limited, mainly due to uncertain job market. Downward pressure on prices continued in Ras Al Khaimah, primarily due to increasing supply. Tenants are in a better position to negotiate rental terms through incentives such as multiple cheques and rent-free periods. During Q1 2019, secondary market transactions remained subdued, with long transaction timelines and many undecided buyers. Meanwhile, there was increased lending activity from regional banks within the primary market. RESIDENTIAL MARKET OVERVIEW Q1 2019 had similar declines in rents as in Q4 2018. New projects, including a mixed-use development are expected to be completed in 2019. Historically, the Fujairah residential market has been dominated by units built by UAE nationals, as the economy was driven by fishing and agriculture sectors. The infrastructure impetus from the Fujairah 2040 Plan is expected to increase the population from 165,000 (2009) to 235,000 in 2040. The Fujairah Beach community by Eagle Hills is one of the major developments expected to be completed in 2019. The mixed-use project will feature a gated residential community with a total of 80 villas/townhouses in 2-, 3- and 4-bedroom configurations, along with the 167-key Palace Fujairah Beach Hotel. OFFICE MARKET OVERVIEW As in 2018, occupiers have continued the flight-to-quality trend in Q1 2019. Consolidation of office space continued, as occupiers looked to reduce costs and take advantage of better value propositions in terms of flexibility of space and amenities. Enquiries increased in Q1 2019, compared to Q4 2018. Limited business growth affected demand for office space in Dubai, leading to lower rents in Q1 2019. Office rents for the mid- and affordable-quality categories declined by 3% in Q1 2019. The average change in rental values in the 12-month period from Q1 2018 to Q1 2019 was 9%. However, average rents for prime quality properties remained relatively stable from Q4 2018, with only a marginal decline of 1%. Landlords receptive to market sentiments kept rental rates stable, offering additional benefits of rent-free periods and CAPEX contributions. RETAIL MARKET OVERVIEW The addition of new supply continued to affect the retail market in Q1 2019. The opening of The Pointe in Palm Jumeirah in Q4 2018 added over 70 shops to the retail market. With the Fountain View and Zabeel expansions of Dubai Mall expected to open in Q3 2019, rents and occupancy rates can be expected to come under further pressure as more retail operators enter the market. Landlords continued to offer incentives in Q1 2019 to retain existing occupiers and attract new tenants, including rent-free periods, fit-out contributions and reductions in service charges. Vacancy levels in community shops, particularly in Deira and Bur Dubai, rose in Q1 2019. Until 2017, shops in these areas had waiting lists for prospective occupiers, however in the 12-month period from Q1 2018 to Q1 2019, demand has been subdued. While enquiry levels increased for retail units in prime locations in Q1 2019, there was a rise in vacancy levels in super-regional malls over the past year. According to Emaar, Dubai Mall has reached a 98% occupancy level, excluding the Fashion Avenue expansion that was added in March 2018. The mall achieved a footfall of 83 million in 2018, representing a 4% Compound Annual Growth Rate (CAGR) from 2012 to 2018. OFFICE MARKET OVERVIEW Office rents continued to face downward pressure in Q1 2019, with an average year-on-year decline of over 5% across Abu Dhabi. Rental declines were more pronounced in the mid- to low-quality commercial buildings. Enquiry levels also fell in Q1 2019, suggesting subdued business growth and limited new demand. Consolidation is also driving flight-to-quality, as businesses look to extract better value from office spaces. Landlords continued to offer discounted rents during contract renewals, and other incentives to retain occupiers and attract new ones. With upcoming supply expected to enter the market in 2019, rents will continue to decline. A sizeable amount of office space is set to be added in 2019. These include a few commercial buildings in Abu Dhabi City by private developers, Mazroui Tower in Al Zahiyah, Eclipse Twin Towers in Al Reem Island and a commercial building by ADCB in Al Nahyan, all expected to be delivered by Q3 2019. Additionally, Twofour54 is expected to relocate to Yas Island by the end of 2020. The new purpose-built campus will increase the media zoneâ&#x20AC;&#x2122;s capacity by 25% and include facilities, infrastructure and services to meet the growing needs of media entities. RETAIL MARKET OVERVIEW Consumer spending continued to be adversely affected in Q1 2019, impacted by slower job growth and the correction of salaries and allowances. Retail spend has outperformed other sectors, however, it continues to be affected by weak consumer sentiment. Consequently, rents continued to decline during Q1 2019. Vacancy levels in malls rose in Q1 2019, with enquiry levels falling during the same period. The upcoming supply is expected to continue to impact rental rates. Majid Al Futtaimâ&#x20AC;&#x2122;s new 300 million-dirham My City Centre Masdar project will add 1.85 ha of Gross Leasable Area (GLA) when it opens in Q2 2019. Al Maryah Central Mall is also expected to be handed over this year. Meanwhile, existing malls such as Delma Mall and Al Wahda Mall are offering rent-free periods of up to one year, for new occupiers. Office rents, although affected by lower rates in neighbouring Dubai, remained relatively stable in Sharjah and the northern emirates, as no new supply was added in Q1 2019. Sharjah had marginal quarterly declines of 3% in office rents, with an annual decline of 6% in the period from Q1 2018 to Q1 2019. Julphar Towers, the only prime office building in RAK, offers both shell and core, and fitted units for an average rate of AED 45/sq ft. The development of RAK’s container port is expected to improve investment in free zones and the broader economy. S&P projects GDP growth of 2.3% in 2019 and 3.0% in 2020 for RAK, supported by capital expenditure in the larger economies of Dubai and Abu Dhabi. RETAIL MARKET OVERVIEW By Q4 2019, Sharjah is expected to add approximately 1.5 million sq ft of GLA – in the greater than 30,000 sq ft category – to its existing retail stock. This includes the Sharjah Mall (355,000 sq ft GLA) and Oasis Mall (1 million sq ft GLA), in addition to the Zero 6 mall which was handed over in Q4 2018. Rents for retail spaces in Q1 2019 ranged from AED 65/sq ft to AED 85/sq ft on average, in areas such as Al Khan, Al Majaz and Al Sharq in Sharjah. Ajman also has a few major projects scheduled to open at the end of 2019. This upcoming supply includes City Life by Al Zorah with a GLA of 503,751 sq ft, and Mirkaaz Mall with a GLA of 406,872 sq ft. Rents for retail units in certain residential areas such as Al Rawda, Al Rashidiya and Al Naemiyah ranged from AED 60/sq ft to AED 70/sq ft on average in Q1 2019. Meanwhile, Ras Al Khaimah is expected to add a GLA of 55,972 sq ft of retail space with the scheduled handover of Grove Village Mall in Q2 2019. This is in addition to the 30,000 sq ft of GLA added in Q4 2018 with the expansion of Manar Mall. Average rents in popular local malls like Al Hamra and Al Reem ranged from AED 180/sq ft to AED 250 per sq ft during Q1 2019. HOSPITALITY MARKET OVERVIEW New room inventory expected to enter the market in 2019 conitnues to affect the performance of hotels in Dubai. With significant growth in hotel room inventory indicated ahead of Expo 2020, the current trend of downward pressure on occupancy levels and average daily rates (ADRs) is expected to continue into 2019. According to data from STR Global, hotel room occupancy rates declined from 86.1% in February 2018 to 83.5% as of February 2019, a year-to-date drop of 3.1%. Hotel revenue per available room (RevPAR) also declined year-to-date, from AED 673.47 in February 2018 to AED 577.59 in February 2019, representing a decline of 14.2%. HOSPITALITY MARKET OVERVIEW Abu Dhabi City had a 3.8% increase in hotel room occupancy, from 81.6% in February 2018 to 84.7% in February 2019. Occupancy rates for resorts in the capital declined by a marginal 0.2% year-to-date. There was sustained growth in RevPAR for the same period for hotels in the city, from AED 253.03 to AED 304.06 â&#x20AC;&#x201C; an increase of 20.2%. The RevPAR in resorts also had an increase of 12.3% over the same period. HOSPITALITY MARKET OVERVIEW Hospitality and tourism sectors in the northern emirates are expected to receive a boost with new government-backed developments in Fujairah, Ras Al Khaimah and Sharjah. Projects encompass 8,800 residential units and 1,500 hotel keys over the next five years in Fujairah; an adventure park, hiking trail and luxury mountain camp in RAK; the Anantara Sharjah Resort expected in 2020, and the Al Bait Hotel, which was handed over in Q4 2018 in Sharjah. RAK is being positioned as a prime tourist destination, with plans to attract more than 3 million visitors by 2025 and double the GDP share of tourism to 10%. In Q4 2018, the number of guests visiting Fujairah reached 202,640, an increase of 14% from Q4 2017, according to the Fujairah Statistics Centre. However, occupancy levels fell by 14.8% from 75% in February 2018, to 63.9% in February 2019, according to data from STR. INDUSTRIAL MARKET OVERVIEW Q1 2019 marked a continuation of the overall trend in 2018. The market remained challenging, with the gap in the local two-tier segment widening as occupiers seek better value. Demand for onshore Grade A warehouses continued to be high, but remains underserved due to an increased supply in the easier-to-build Grade B and C spaces. Overall, flight-to-quality helped to push sales prices and rental rates of modern, high-quality and well-specified assets up in Q1 2019, especially due to the lack of Grade A supply. Demand in free zone areas increased in Q1 2019, but continued to be outweighed by supply, resulting in continued downward pressure on prices. Some sub-categories, such as well-designed standalone facilities with newer specifications (less than 30,000 sq ft), outperformed the general market. Free zone authorities continued to be flexible with land lease terms in Q1 2019, offering short-term relief for new and existing customers. As the popularity of online shopping and same-day delivery continues, the demand for high-quality storage space is expected to rise in 2019, especially in strategic areas such as Dubai South. INDUSTRIAL MARKET OVERVIEW The Abu Dhabi Airport Free Zone (ADAFZ) continued to lead rental rates at AED 74/sq ft in Q1 2019, followed by Al Markaz at approximately AED 43/sq ft. Rents in Khalifa Industrial Zone Abu Dhabi (KIZAD), Mussafah and Industrial City Abu Dhabi (ICAD) remained around AED 36/sq ft on average. Overall, average industrial lease rates have declined by 5% compared to the same period in 2018. Demand for flexible and high-quality space, particularly warehouses with optional serviced offices in the AED 161-269/sq ft range, increased in Q1 2019. Newer areas like KIZAD witnessed higher demand for such facilities. INDUSTRIAL MARKET OVERVIEW As of Q1 2019, the prevailing rates in existing industrial areas of Sharjah and Ajman were typically 30-35% lower than Grade A warehouse rents in Dubai. With increased demand, there was also a rise in enquiries for modern industrial facilities, as occupiers continue to look to move out of poorly maintained older stock, to locations offering better infrastructure. Manufacturing, real estate, wholesale and retail trade sector are the leading contributors to Sharjahâ&#x20AC;&#x2122;s GDP accounting for 45% of the total. S&P predict that the emirateâ&#x20AC;&#x2122;s tourism, manufacturing and construction sectors will support real GDP growth of 2% during 2018-2021. Lease rates, based on location and availability of warehouse space matching demand criteria, can vary from AED 20/sq ft to AED 35/sq ft in Ajman and Sharjah. Key industrial units existing in Umm Al Quwain include light industries, cement and building materials, rubber, aluminum and readymade clothing. METHODOLOGY Sales prices and rents are derived from Property Monitor (www.propertymonitor.ae), the region’s leading real estate intelligence platform and the only data source powered by RICS-accredited professionals; bringing unprecedented transparency and accuracy to local property markets. Through Property Monitor, market stakeholders can directly access real-time, transparent and accurate intelligence, unmatched anywhere else in the region. The platform empowers investors, property specialists and banking professionals with authoritative data, analytics and insights that closely correlate with market movements, empowering confident and informed property-related decisions. Property Monitor was launched in 2014 by real estate consultancy Cavendish Maxwell. The average sales price per square foot is based on the Property Monitor Index which incorporates signed contracts, registered transactions, valuations and listings verified by Cavendish Maxwell’s market-leading valuation department. The Property Monitor Residential Survey is a quarterly study of agent opinion designed to identify residential market sentiment. This research highlights how new enquiries, leasing activity and transactions, among other metrics, changed from quarter to quarter with agent predictions compared to actual real market performance. Supply projections for residential projects are based on the Property Monitor Supply Tracker, which tracks supply in real time, including regular tracking of construction projects, new launches and delays. This is achieved through site inspections as well as regular feedback from developers, contractors, Cavendish Maxwell’s building consultancy team and related government entities. STRATEGIC CONSULTING AND RESEARCH Cavendish Maxwell’s strategic property consulting and research team has some of the region’s most highly qualified data analysts with a wealth of international real estate advisory experience. We work closely with a broad portfolio of banks, property developers, government entities and private clients, providing authoritative, industry-specific research and advice to maximise portfolio performance. Our strategic property consulting and research expertise spans a variety of sectors including residential, office, hospitality, education and mixed-use developments, and our team draws on reliable proprietary data to allow for thorough and accurate analysis of trends and market fluctuations. Our documents and advice meet banking and audit criteria, proven by our presence on over 40 bank panels across the Middle East. Disclaimer: The information and analysis contained in this report is based on information from a variety of sources generally regarded to be reliable, and assumptions which are considered reasonable, and which was current at the time of undertaking market research, but no representation is made as to their accuracy or completeness. We reserve the right to vary our methodology and to edit or discontinue the indices at any time, for regulatory or other reasons. The report and analysis do not purport to represent a formal valuation of any property interest and must not be construed as such. Such analyses, including forward-looking statements are opinions and estimates only, and are based on a wide range of variables which may not be capable of being determined with accuracy. Variation in any one of these indicators can have a material impact on the analysis and we draw your attention to this. Cavendish Maxwell and Property Monitor do not accept any liability in negligence or otherwise for any loss or damage suffered by any party resulting from reliance on this report.